What describes the building of the Tower of Babel in the bible for millenniums, became reality in the 21st century. In 2010 the Burj Khalifa, the highest building in the world, was opened in a small desert country. It is rising up to 828 meters out of the desert like a mirage. The tower has only one purpose: focusing the worlds eyes on Dubai. Rashid bin Saeed Al Maktoum maybe couldn’t imagine that his little desert area would become a two-million megacity full of superlatives, when he began to plan the future of his town about 50 years ago. All what you can see today in Dubai, bases on the dream of this single man. A thought, a vision, as a starting point for many other dreams. To create, what the sheikh dreamed of, he had to create dreams in the heads of other people. The ambition to reach the impossible, became the principle of Dubai and the tool to fascinate people from all over the world. Today, Dubai is a world between illusion and reality. Many dreams became true, others got out of hand and burst due to the financial crisis. The result is a totally surreal city. Personally, I also had a dream of Dubai: Visiting and experiencing this city by myself. I visited Dubai, got caught by the unreality and captured it with my camera. I processed this experience in my bachelor thesis, which is my own interpretation of Dubai’s dream. The first one is an infotainment part, full of stories, facts and information, giving an atmospheric introduction into the dreamworld of Dubai. Showing the phenomenon Dubai, his origin and development. In the second part I am taking the fascination, which captured myself, and processing it in photographic form. I am using the reality of Dubai as a backdrop for my own world of dreams and images, which rises between abandoned building lots and glittering landmarks. I am creating my own world, which starts in my pictures and continues in the viewers mind. 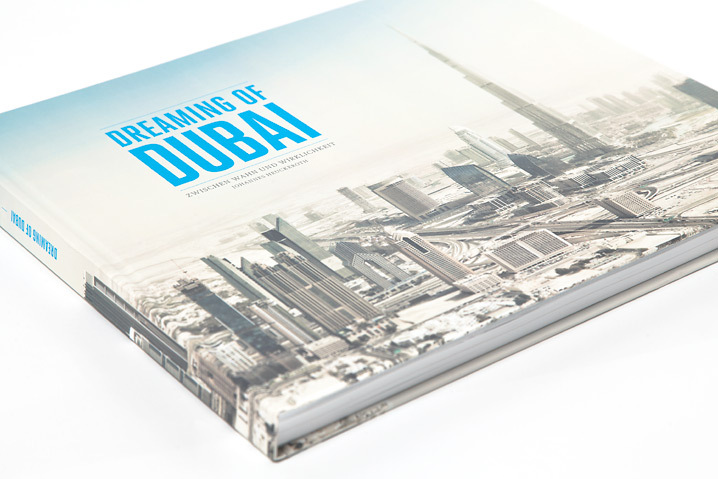 The result of my work between January and July 2012 (including a 5-day-visit in Dubai) is a very high-value book, format 33 x 28 cm, printed on matt premium paper (148g/m²). Language: german. 200 pages, 70 images. 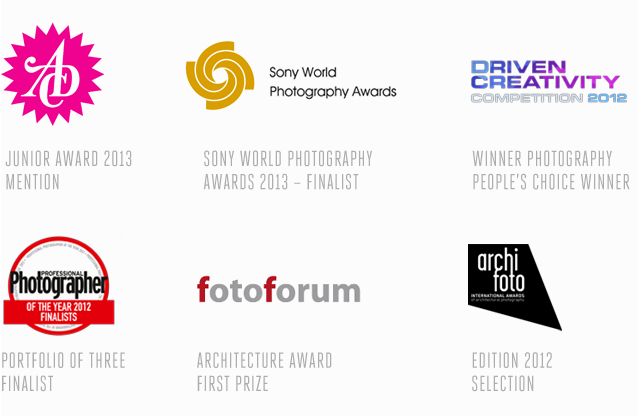 Have a look at the gallery at the top to get an impression of content and design. The book is my bachelor thesis, after 3.5 years studying Design at the Georg Simon Ohm University in Nuremburg, Germany. It is now possible to order a new edition of the book online via Blurb. There are two editions available, both with german texts. An english edition is planned for 2014. Find all information here.